A few piano chords by Patrick Bebelaar. Each one resounds in the room, with a healthy reverberation. Joe Fonda's rapidly plucked bass tones join them as if from nowhere and slowly develop into a small foundation. The piano begets a romantic medley of tunes. Wonderfully peaceful and gently swinging at the same time. The final notes. The final notes? That's what you think! The piece is already past the halfway point when Herbert Joos' trumpet joins the two, breathy and scintillating. This is the impressive beginning of "Between Shadow And Light". Presence through reduction – rather one sound less than one too many: that's the leitmotif. This area between shadow and light, between major and minor keys, between "black" and "white" jazz is the special feature of this recording, but which also completely fills the edges of this intermediate space. It could just as well be titled "Shadow – Light – And In Between". 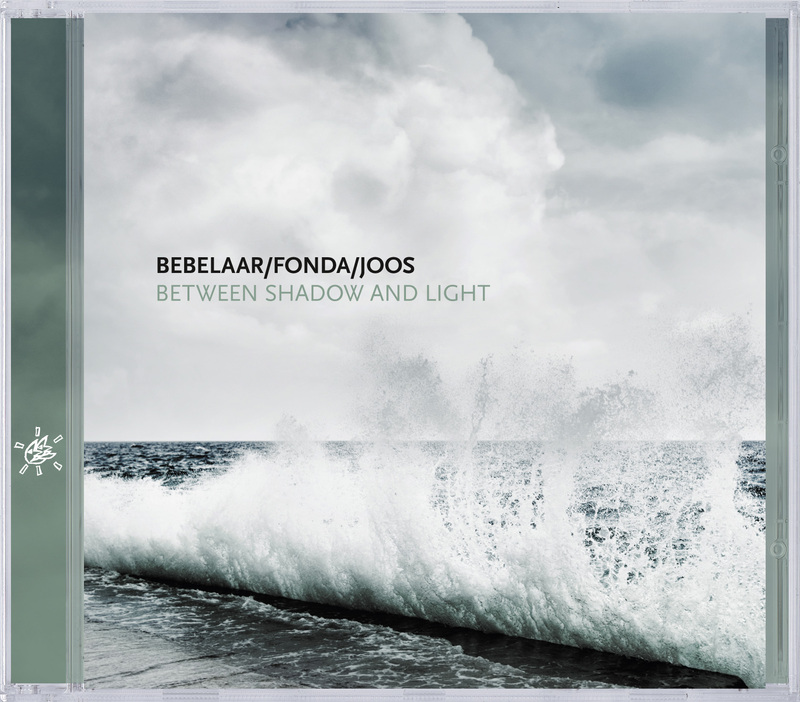 The fact that Bebelaar has mastered playing intermediate tones on the piano is something that he recently proved on "Dedications" (INT 34342), his duo album with Michel Godard. He is also presenting his very original ideal of sound here and found a kindred spirit in Herbert Joos. They advance in step grasping intermediate spaces in a profession that was called "European chamber jazz" in its beginnings. But this is a jazz of worlds, colorful jazz in black and white. The American Joe Fonda also ensures the black and white. Whoever is reading this has probably already heard him, because Fonda's bass playing has already refined more than one hundred albums. When you know that his previous co-musicians were big names such as Anthony Braxton, Barry Altschul, Archie Shepp, Herb Robertson and Billy Bang, then you listen to his bass on "Between Shadow And Light" with other ears, because he fits in the ambience so well and so touchingly, not at all hectic or agitating. And Clifford", also provide shadow and light or black and white. "As a result, the impetus from American jazz is linked with European worlds of feeling," as Bert Noglik wrote in the liner notes.